"The End of The Universe is Filled With More Guns and Laughs Than I Expected"
Battleborn gameplay has finally be released. Courtesy of an IGN preview video, we can finally see what Gearbox's newest game looks like. Announced a few months back in July, Battleborn seems to be taking cues from many different genres including MOBAs and Shooters. The game will allow players to work either together or against each other in a colorful and funny world, a world which orbits the last star in the universe. Now all the aliens in the universe have come together to either save the last star or help destroy it. It is an unique story and from the video and previews I saw it seems Gearbox is bringing a lot of humor to the game. This isn't a big surprise considering how funny and filled with jokes the Boderlands games were. The characters themselves seem very over the top and some seem quite comical, such as a robot who has an owl stashed under his top hat. But Gearbox says that the world of Battleborn is still pretty bleak, considering all known life is about to be extinguished. Sometimes the best way to deal with terrible tragedy and everything falling apart is to joke about it. To have some laughs. The preview video is showing a game that is still being developed. Battleborn is coming out next year. So we have to remember that things can and will change. But the game seems to have a stylized look to it. Not the same style like Borderlands' cell-shaded characters and planets mind you. But it does remind me of a cartoon type feel, lots of rounded edges and bright colors. It looks good. Gearbox has said they want people to fall in love and become attached to the dozens of different characters they will have in the game. These characters range from the gentleman robot with an owl that I mentioned earlier to a space elf and even a big soldier with a large minigun. Gearbox is making every character feel different. Not only that, but Gearbox hopes to have all the characters treat each other differently, such as making fun of one of them a certain way. Gearbox has also tried to make sure that players who prefer shooters will have characters that play like that. Such as Oscar Mike, who controls and plays very similarly to shooters like Call of Duty, hence the name. Other characters will be more melee focused or skill focused and it's hoped this diversity in characters will allow anyone to play the game and find someone they can learn. Other elements shown in the video include the way you unlock new skills and abilities. Similar to MOBAs like League of Legends, you start every match with a level one character. As the match progresses you level up and work your way up a skill tree that looks to have 2 things to choose form each time you level up. For example, the assault class has a level up choice of either red dot or scope. Other classes will have different choices and options. 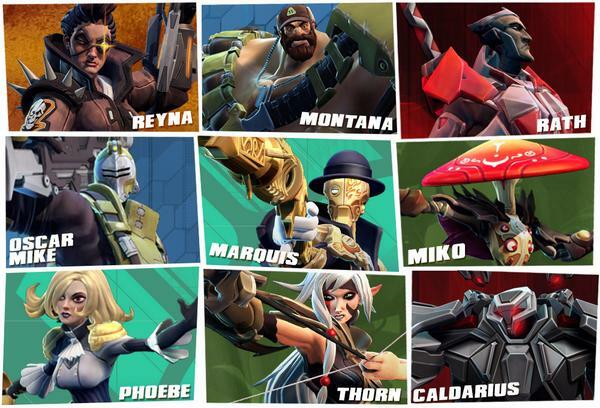 There will be a meta experience to Battleborn as well. Players will be able to level up their "profile" and from their unlock small advantages over newer players, think League of Legends rune system. Battleborn isn't out till next year, so we will have to wait and see what the final game looks and plays like. But from what I have seen and read, I'm excited. I hope Gearbox can pull off another awesome co-op hit. And so far it looks like they just might. 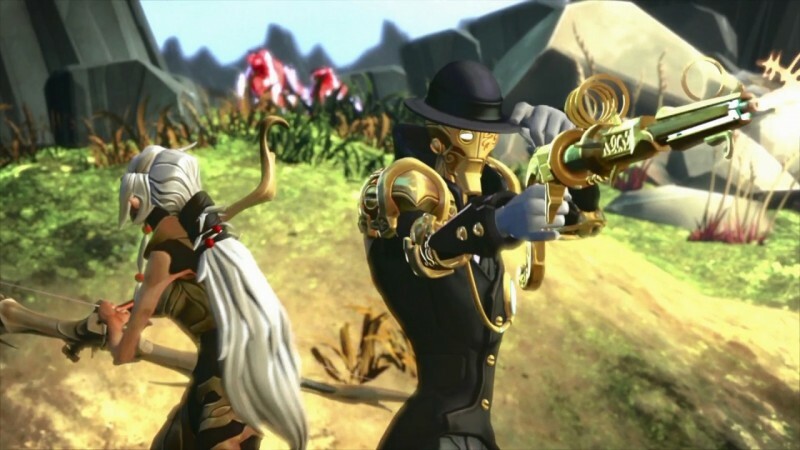 Battleborn is coming coming out next year to PS4, Xbox One and PC. Click here to see the announcement trailer.